Editors note: Four photos are included with this press release. Parents and gadget-lovers alike need not fret about making a list and checking it twice this holiday season, for when it comes to function, design, durability, safety, and play value, the toy experts know best. With a diverse, award-winning line, WowWee, an Optimal Group company (NASDAQ:OPMR), products have been recently recognized as safe, creative, and fun finds. These innovations include gadgets that walk, talk, crawl, fly, purr and enable remote telepresence and communications -- something for every member of the family. 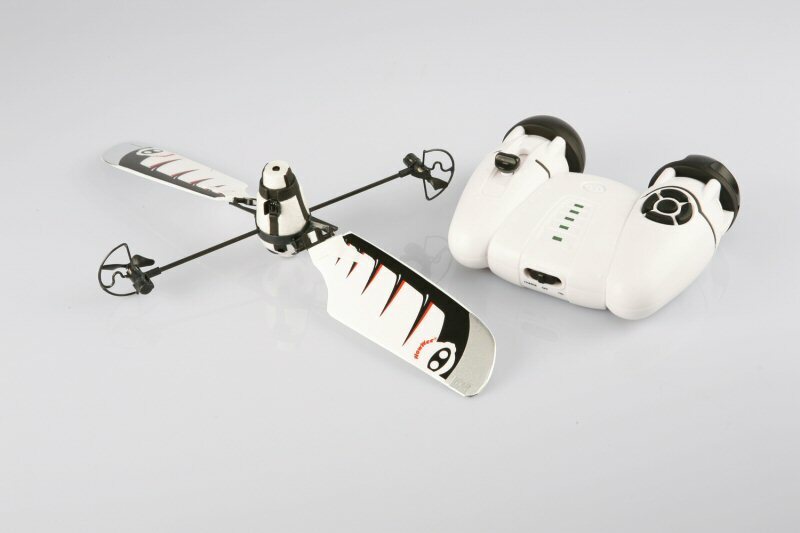 FlyTech Bladestar(TM), a revolutionary indoor flying machine, is the first flying toy with sensor-based navigation, using two wings that spin with helicopter-like movement to propel itself through the air. Built-in infrared sensors allow the flyer to detect and avoid ceilings, walls, and other obstacles autonomously. Innovative design coupled with infrared technology also allow for dueling capabilities, enabling two FlyTech Bladestar flyers to faceoff in aerial combat. The FlyTech Bladestar flyer was one of only 20 products awarded with an "Editor's Choice Award" by Popular Mechanics magazine at CES 2008 as a technologically advanced innovation. 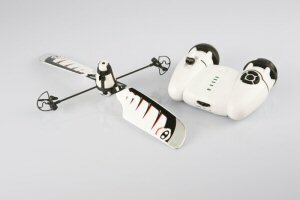 Creative Child Magazine also named the FlyTech Bladestar flyer a winner of the 2008 Preferred Choice Award in the R/C Indoor Flying category. The flyer was also recently named one of Dr. Toy's Best Products Picks for 2008 and a Parents' Choice Approved toy by the Parents' Choice Foundation. The FlyTech(TM) line includes other vertical indoor flyers such as FlyTech Butterfly(TM) and FlyTech Moth(TM) flyers that feature a simple launching dock instead of a remote controller, which were both selected by an independent consumer organization as winners of the Oppenheim Toy Portfolio Platinum Awards for the Best Toys for Kids 5 & Up. FlyTech Butterfly was also approved by mom and kid-testers around the country and subsequently named one of Parenting Magazine's Toys of the Year 2008 in the 5 to 8 years old category. The WowWee Alive(TM) Cubs, life-like animatronic playmates, are huggable baby animals that feature plush bodies and animated facial and vocal expressions triggered by users' touch. Children and animal-lovers alike can nurture a lovable WowWee Alive Lion Cub, Panda Cub, Polar Bear Cub, and White Tiger Cub in their very own living rooms. The WowWee Alive Cubs were a recipient of the National Parenting Center's 2008 Seal of Approval, a winner of the iParenting Media Awards - 2008 Outstanding Products Award, a Toy Wishes All-Star for Holiday 2008 and were named one of Dr. Toy's Best Products Picks for 2008. The WowWee Alive Cubs were also selected by Redbook magazine online as a top Christmas gift pick for children as well as by Creative Child Magazine in the 2008 Toy of the Year Awards, Electronic Plush category. The Canadian Toy Testing Council (CTTC) has recognized the toys with a CTTC three-star rating - the highest level - and the November 10, 2008 issue of TIME Magazine includes the WowWee Alive Cubs as one of only three featured toys in the Tech Buyer's Guide. The fun-loving RS Tri-bot(TM) robot, the next generation in the award-winning Robosapien(TM) line of entertainment toys, is an interactive talking humanoid robot whose running commentary and dynamic personality make him a comical sidekick. Featuring various play modes and hours of entertaining content, the RS Tri-bot robot features joke telling, story sequences, and built-in games. WowWee's RS Tri-bot was featured in the December issue of Good Housekeeping as one of the "Best Toys of 2008" in a section of the magazine titled, "The Goods: What to Buy. What to Skip." The Good Housekeeping Research Institute looked at hundreds of playthings for ages 3 to 14, evaluated 51 favorites, and then let dozens of kids loose to play and choose their top picks. The result: WowWee's RS Tri-bot was one of 14 safe, creative, and fun finds. The RS Tri-bot robot was also a recipient of Family Fun Magazine's 17th annual Toy of the Year (T.O.Y.) Awards in the ages 8-12 years category, which involved an intensive assessment by the Family Fun Toy Tester Families, who narrowed down hundreds of hopefuls to this year's winners. 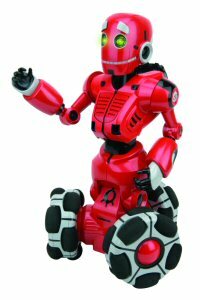 The Toy Insider, the source for the hottest toys and gifts for the holidays that ran in the November issue of Redbook magazine, featured the RS Tri-bot robot in the 6-8 years old category. 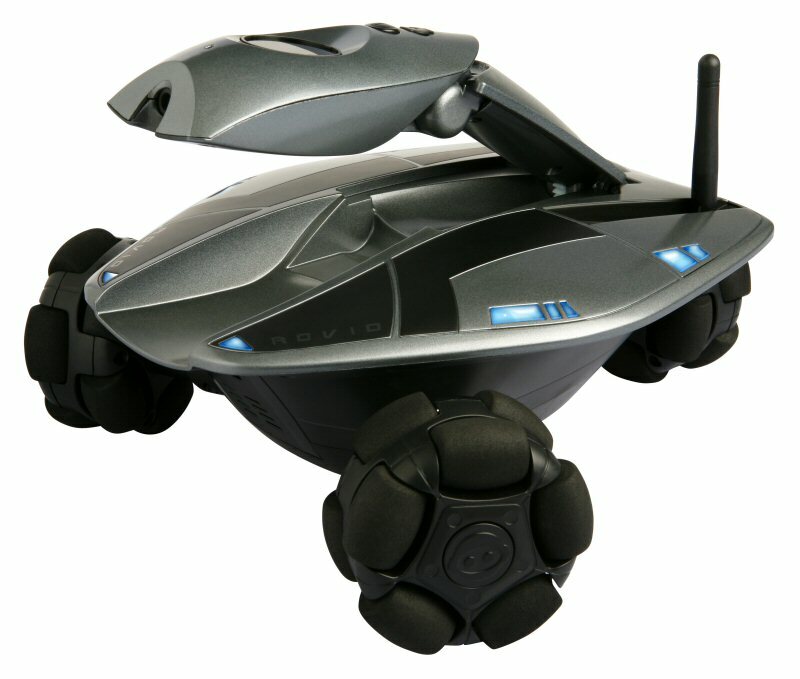 The RS Tri-bot robot also won The National Parenting Center's 2008 Seal of Approval, iParenting Media Awards - 2008 Outstanding Products Award, and an Honors Award for the 2008 National Parenting Publications Awards (NAPPA), Children's Products. Additional accolades include being named one of the "Best Toys 2008" by Parents Magazine (November 2008 issue), and receiving Creative Child Magazine's 2008 Toy of the Year Award in the R/C Robot category. Last month, WowWee Technologies(TM) introduced the Rovio(TM) mobile webcam, a Wi-Fi enabled home and office explorer that can be controlled remotely from anywhere in the world using a web-enabled device including a PC, Mac, cell phone or smart phone, PDA or even a video game console. Rovio's TrueTrack(TM) Navigation System, a smart navigation and positioning system that works like a micro-GPS system, delivers robotic tracking capabilities that have never before been available to the robotic toy mass market. Since launch, WowWee's Rovio has been selected as an honoree for the Consumer Electronic Association's Innovations 2009 Design and Engineering Award in the Personal Electronics product category. Rovio was also selected as one of six gadgets to help you entertain at home by U.S. News and World Report and as a "Gadget We Love" by Forbes magazine in their November 10, 2008 issues. With a focus on the development of breakthrough consumer robotic and electronic products, WowWee continues to forge new categories in personal robotics and entertainment with award-winning products that are imaginative and inventive. Consumers can currently see items from five distinct product lines -- WowWee Robotics(TM), WowWee FlyTech(TM), WowWee Alive(TM), WowWee Technologies(TM), and from WowWee's recently established Think Wow Toys(TM) division that produces and markets plush toys, novelty items, action figures and promotional toys, including third-party licensed characters and properties. Information about WowWee's diverse product portfolio - including the latest product announcements for 2008 - are featured on www.wowwee.com. All products are currently available at major retailers nationwide and at the WowWee Online Store (www.wowweestore.com). WowWee, an Optimal Group company, is a leading designer, developer, marketer and distributor of innovative hi-tech consumer robotic and entertainment products. The WowWee group of companies maintains operations in Hong Kong, Carlsbad, California, Brussels, Belgium and Montreal, Quebec.